GraceConnect » Am I Living to God’s Standards… or Mine? Am I Living to God’s Standards… or Mine? Who wants to feel weak? Who enjoys bumping up against one’s own inadequacies? Why would I desire to get in touch with the many times (a day) I don’t live up to my own standards, let alone God’s? Isn’t the Christian life supposed to make me feel better? The Apostle Paul may have resisted feeling weak, at first, too. He was a very successful Jew—even of the tribe of Benjamin, a Pharisee, a zealous persecutor of heresy. By strict religious standards, his resume was impressive. But after his conversion to Christ, those things no longer mattered. In fact, he considered them rubbish. I wonder how long it took him to gain this perspective. So what is the value of weakness for spiritual formation? Could it be that we, like Paul, have a tendency to put confidence in ourselves to live the Christian life? Could it be that I have a deeply ingrained success mentality that desires to use Christianity and the spiritual disciplines to help me feel better about myself, without deepening my relationship and dependence on my Savior? Instead of allowing us to live in the delusion that we are better off on our own (autonomy) and that we really need to get our act together in order to be loved by God (work’s righteousness), God breaks us of these ingrained beliefs by giving us the gift of weakness and inadequacy. Then when I bump up against my weakness, I can be reminded of my need for a Savior, even as a mature Christian. I can continue to fall in love with my Rescuer, when I realize that His blood covers my sin. I can turn to Him in dependence, not as a last resort, but as a welcomed reminder of my true state of dependence. It would be cruel of God to allow us to live in the lies of autonomy and work’s righteousness, which is our natural tendency. I’m not there yet. But I do have to ask the question: Does our doctrine of sanctification address and have room for the daily experience of weakness, inadequacy, and failure? Do we teach those we disciple and have influence over the value of recognizing our moments of weakness that come to us throughout the day and allowing it to remind us to turn to God and not depend on self? Do I model a life that is comfortable with my own messiness, so that others may see that God’s love is not based on our performance, but on His desire to love us? It is going to take a lot of weakness, failure, and inadequacy to undo the false beliefs that we are better off on our own (autonomy) and we have to work hard to gain God’s favor (work’s righteousness). The message of the Gospel still speaks to us in the ongoing journey of spiritual formation as we embrace weakness and let it do God’s noble purposes. — by Christy Hill, Ph.D.
 Philippians 3:4b-11 (all Scripture quotations from NIV). 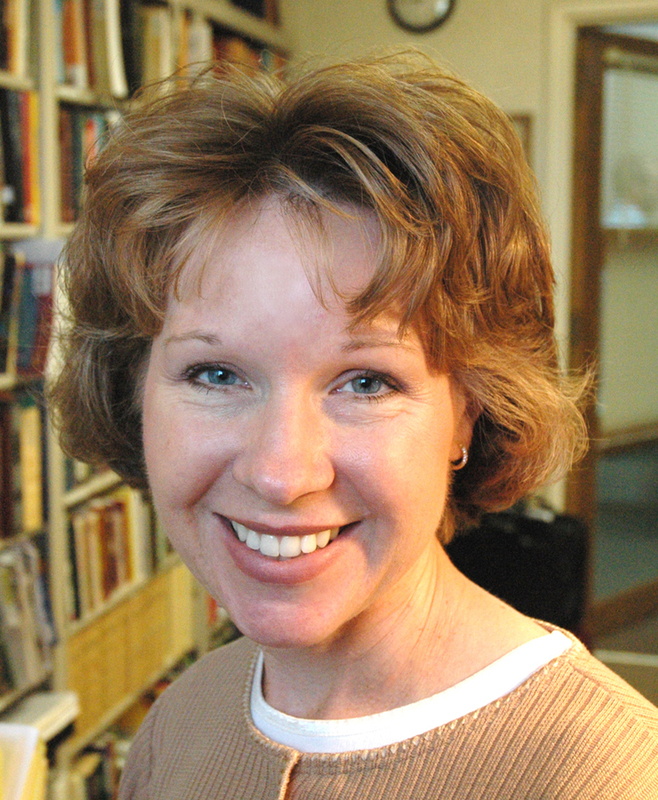 Christy Hill is Associate Professor of Spiritual Formation and Women’s Ministries at Grace College and Theological Seminary, Winona Lake, Ind. I wonder how this would look in our expectations of leaders. How does this fit with "being above reproach"? How do we reconcile being leaders and being imperfect sinners, who still wrestle with our faults? When we fail as leaders, everyone sees it. How do we teach our congregations to deal with our leaders as simply called to a task and not the christian elite? How do leaders become vulnerable people in small groups and expose weaknesses in a culture that desires to look "put together"? How do we model wrestling with weakness without seeming inept for ministry? Lots of questions. As Christy Nockels said in her song For Your Splendor, "Sometimes Its hard to grow when everybody's watching/To be pruned by the one who knows best." Stephanie, You bring up some very important points that create a reinforcing cycle for us to not appreciate weakness in our lives as a leader. It seems important for us as leaders to create an ethos where weakness can be seen redemptively. That means I may have to teach on this, model it, and help change our culture by addressing this in people's lives as I journey with them in their own places of struggle. Weakness, though, is not an end in itself. It is a pathway to becoming more than a conqueror, which is my destiny in Christ. Finding fellow pilgrims who are open to these concepts will go a long way in helping you to lead out of who you are, not just trying to keep up appearances. I like your quote from the song. It reinforces that your questions are real and the tension you feel is very normal. All I have to say, is it is beyond amazing how GOD works. Every night I read my Bible, I joke that it's almost a thing between me and God now, that if I don't read it, he don't let me sleep. But in all honesty, it's the truth, and I am so thankful for that. Two nights ago, I read in John 15. Which is where some of the verses mentioned here are from. Driving home from college in my car today, I turned the radio on 106.9 The Light, and what was it about? John 15! I was amazed but just kinda laughed and said "you're kidding me!" :) then while listening to 106.9, something told me to look up "are you living up to GOD's standards or the worlds?" And this is what came up. GOD SURE HAS A WAY WITH HIS WORDS. I am SO thankful to say that yes, I'm only 18, but my spiritual maturity is that of a much older woman! By God's Grace he gives me the wisdom and knowledge to understand HIS word. I'm sorry I referenced the scripture wrong, 2 Corinthians not John.